Plastic pollution has long affected both land and marine ecosystems with thousands of animals choking on plastic materials. Disposing plastic bags and other plastic objects everywhere is more than just an irresponsible gesture. We affect both the environment and the animals and plants living nearby. By affecting their habitats, we actually pollute the environment since plastic is not a biodegradable material. A new research indicates that about ten rivers in the world are to be blamed for up to 95% of the plastic choking world’s oceans. Eight of these rivers are situated in Asia. For instance, the river Yangtze in China and Ganges in India contribute to the pollution of the global ocean, dumping 4 million tons of plastic in it every year. Hence, 8 million tons of plastic waste pollute the oceans on our planet, destroying numerous marine ecosystems. The problem of plastic pollution is becoming increasingly severe, affecting more natural water sources. The number of floating plastic bags is slowly increasing, floating for decades without decomposing. Some other plastic pieces float away until they reach a massive junkyard in the ocean, like the Great Pacific Garbage Patch. Even if the plastic deteriorates after a few years, it will only break down into smaller pieces of plastic. They will not dissipate, but they will be swallowed by fish or other marine creatures. Another horrifying aspect to keep in mind is that plastic waste, unfortunately, contaminates the water we drink. Now, that all these findings put together by scientists continue to scare us, it is time we change something about our habits. Lawmakers should develop more severe regulations, while improving the recycling systems all over the world, but especially in Southeast Asia. In this way, their efforts will be able to protect marine habitats. Furthermore, policymakers in Asia should also expand the variety of solutions they have to include new approaches like waste-to-energy. During the EU-supported conference in Malta called Our Ocean 2017, specialists discussed the pollution problem. The Ocean Conservancy group together with other industry partners like Procter & Gamble announced that they would fund waste management solutions, recycling, and collection in Southeast Asia. They will allocate $150 million for this project. Their incredible initiative will help diminish the plastic pollution coming from some Asian rivers, bringing with them the plastic detritus which chokes the planetary ocean. During the same conference, Borealis AG, an Austrian polyolefin manufacturer, launched its new project. The $5 million project promises to enhance waste management systems from Southeast Asia. All these new initiatives come after the longstanding campaign called the Pristine Seas program developed by National Geographic. This program aims to protect endangered ecosystems. Various non-profit organizations like the Leonardo DiCaprio Foundation and the Philip Stephenson Foundation supports it. Specialists indicate that these initiatives are more than welcome. However, 90% of the plastic inventory is not recycled yet. Developing countries in South Asia should use the waste-to-energy strategy to get rid of their plastic waste. That is why activists, NGOs, and policymakers should consider another important aspect which may prove to be extremely helpful. The waste-to-energy strategy will not only help us diminish the amount of plastic in the world by burning it, but it will also help us produce energy. Therefore, since numerous Asia countries near the Pacific are confronting with energy shortages and plastic waste, the waste-to-energy solution would be extremely useful. For example, in Australia, the government introduced subsidies for renewable energy and the entire country has been continuously facing repeated blackouts. The unfortunate factor here is that the government did not invest enough money into sources of backup power. Just like in the case of Asia, the country has thousands of tons of plastic dumped off its coasts. The new study indicates that even China, the top market for recyclable plastics in the world, has recently implemented barriers for unprocessed materials. Statistics show that about 70% of the plastic garbage in the world tend to end up in China. Nevertheless, some people are stating that incinerating plastic will trigger air pollution. Most countries may even refuse to incinerate because they are afraid that they will increase the CO2 levels in the atmosphere. However, what they don’t know is that the incineration methods have improved over the years. Therefore, the technology specialists use today to incinerate is prone to emit a very low level of pollutants. The US Environmental Protection Agency (EPA) developed a new study showing that waste-to-energy is actually reducing greenhouse gas emissions. Even if this may sound strange, this process really diminishes the amount of methane emissions coming from landfills. Scientists underline the fact that methane emissions are much more harmful than carbon dioxide emissions. Therefore, it is great news that this waste-to-energy process can diminish the amount of methane from the atmosphere. Nevertheless, we should still maintain our long-term goal of removing, reducing and recycling excess plastic waste. If we also develop circular recycling systems for plastic materials, this may be a more complex process. Furthermore, it may also have a greater impact on the environment if we were to consider the extended life of plastic waste. However, in the meantime, we can work on generating energy from burning plastic garbage which is not going to be reprocessed. In this way, we prevent plastic waste to reach a trash pile or, even worse, into the ocean. This innovative approach could not only diminish the methane gas emissions, but it could also solve the problem of power shortage. Many countries in South Asia and also Australia currently have to deal with this issue. Some of the developing countries, like Nepal, Bangladesh, Pakistan and India continue to use coal plants to produce energy, instead of replacing them with waste-to-energy. The waste-to-energy could be a great solution to diminish plastic pollution. In this way, by using this process we not only prevent it from reaching numerous landfills or the seafloor, but we could also benefit from energy. 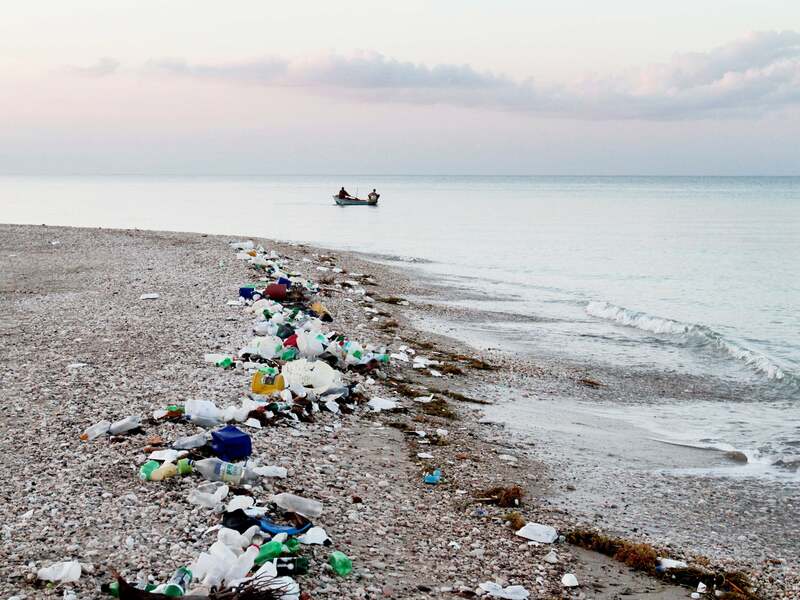 Plastic pollution is still a crucial problem, affecting all the oceans of the world.